go together like milk and cookies. 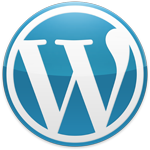 We have many years of experience in designing and developing with the WordPress platform. In fact, this wonderful website you’re on right now is using the WordPress core! It’s far too costly to not be able to edit your own website. We’ve helped several clients go from being frustrated with their web designers because changes and updates take so long, to being delighted with our solution to allow them to edit their websites themselves. We’re not the type of web design company that bills you for every little change or edit to your website. We encourage you to get involved in your site, and if you don’t have the time, we’re more than happy to do it for. If it’s a minor change, and you host your website with, we’ll do it for free, because we’re just nice like that. So, enough rambling, let’s get that WordPress website built ! Tell us a little about your project to get started.